Customer Service Delivery Tech Experts – Asurion: Asurion reached out to ask if we could share these home-based positions. Duties include travel. You’d be bringing replacement devices and tech support to Asurion customers. Hiring from Indianapolis, IN; Columbus, OH; San Francisco, CA; Denver, CO; Minneapolis, MN; Detroit, MI; Riverside, CA; Cincinnati; OH; Pittsburgh, PA; Albuquerque; NM; Buffalo, NY; Wichita, KS. Sell Your Smartphone Pics – EyeEm: “Get rewarded for your creativity. You’ll always keep control of your copyright and be able to choose which photos you submit for selling. It’s as simple as that. Save time by batch uploading via your desktop, allowing our web uploader to automatically keyword your images and put them up for sale.” Keep 50% of the sales price. 50+ Work from Home Jobs at Hospital Corp. of America — With benefits. 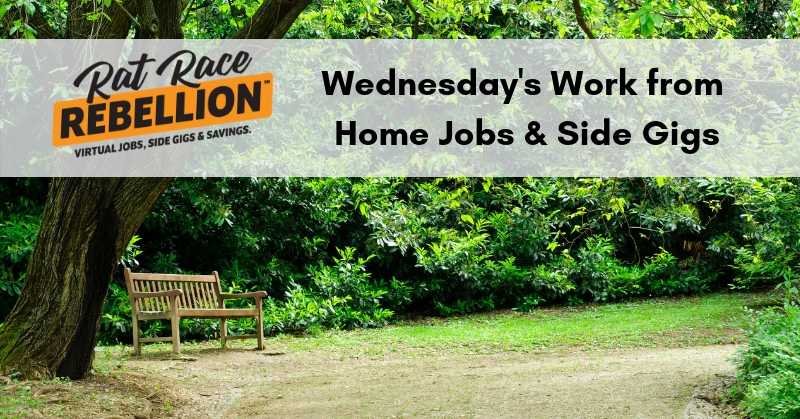 As we write, there are 50+ work from home openings on their site. Some are full telecommute, others are partial. Roles include Customer Advisor, Food Services Customer Service Representative, Customer Service Team Lead, PreRegistration Representative, Patient Access Representative, Medical Scheduler, Coding Quality Reviewer, Nurses and many more. Extra Cash – Get cash rebates on organic food – BerryCart: If you shop organic, or non-GMO, or gluten-free — among other healthy categories — BerryCart’s app will give you cash back on purchases. Just download the free app and get cash via PayPal or (if you prefer) gift cards. Get Your 20% Discount for Our New Job-Finding Course — Expires this Friday! Want to land a work from home job or side gig ASAP? Get your applications past the HR software filters? Find jobs before they’re even posted on job boards? Enroll in our new course, How to Find a Work from Home Job or Side Gig in 30 Days or Less. Sign up by this Friday and get 20% off with discount code FAST20. Includes a 30-day money-back guarantee, and our private mentored Facebook group just for students. P/T Merchandisers – Nabisco: If you love Oreos (or Cadbury, or Nutter Butters, or Chips Ahoy) — and you’re looking for a side job — the company that owns those brands is looking for p/t Merchandisers. Mondelez International needs people to travel to local stores and check pricing, restock shelves, rotate products for freshness, etc. Pays $11-$16/hr. plus mileage reimbursement.